1) Wild Mexican White Prawns that are caught in small artisinal fisheries from the Northern Sea of Cortez. This is a very limited fishery that we have good access to. These prawns are sustainable with only small amounts of bi catch and no environmental damage. The flavor and texture of these prawns is amazing and they are versatile to many cooking techniques. No chemicals added. 2) Farmed Belize prawns raised in close containment farms with no chemicals added. These are recognized by many sustainable and environmental bodies as the prawn farming of the future. So the more we ask and demand of these the more farmers that will get on board and start farming this way. 3) Wild trap caught spot prawns. Sustainable fishery with little environmental impact. These prawns are great and sweet tasting but make sure not to overcook them as they can turn to mush. Great for sushi or sashimi. 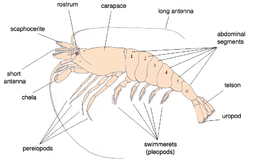 A wide variety of non-decapod crustaceans are also commonly referred to as shrimp. 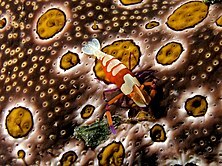 This includes the brine shrimp, clam shrimp, fairy shrimp and tadpole shrimp belonging to the branchiopods, the lophogastridan shrimp, opossum shrimp and skeleton shrimp belonging the Malacostraca; and seed shrimp which are ostracods. 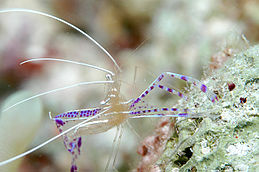 Many of these species look quite unlike like the commercial decapod shrimp that are eaten as seafood. 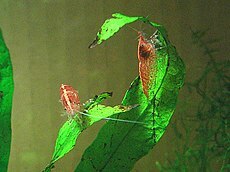 For example, skeleton shrimp have short legs and a slender tail like a scorpion tail, fairy shrimp swim upside down with swimming appendages that look like leaves, and the tiny seed shrimp have bivalved carapaces which they can open or close.Krill resemble miniature shrimp, and are sometimes called "krill shrimp". Shrimp trawling can result in very high incidental catch rates of non-target species. In 1997, the FAO found discard rates up to 20 pounds for every pound of shrimp. The world average was 5.7 pounds for every pound of shrimp.Trawl nets in general, and shrimp trawls in particular, have been identified as sources of mortality for species of finfish and cetaceans. Bycatch is often discarded dead or dying by the time it is returned to the sea, and may alter the ecological balance in discarded regions. Worldwide, shrimp trawl fisheries generate about 2% of the world's catch of fish in weight, but result in more than one third of the global bycatch total. Investigations by The Guardian in 2014 and The Associated Press in 2015 found human rights abuses on fishing boats operated by Thailand. The boats are manned with slaves, and catch shrimp and fish (including fish for the production of fishmeal which is fed to farmed prawns).Greenpeace has challenged the sustainability of tropical shrimp farming practices on the grounds that farming these species "has led to the destruction of vast areas of mangroves in several countries [and] over-fishing of juvenile shrimp from the wild to supply farms." 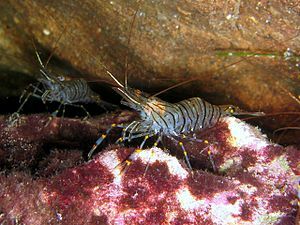 Greenpeace has placed a number of the prominent tropical shrimp species that are farmed commercially on its seafood red list, including the whiteleg shrimp, Indian prawn and giant tiger shrimp.